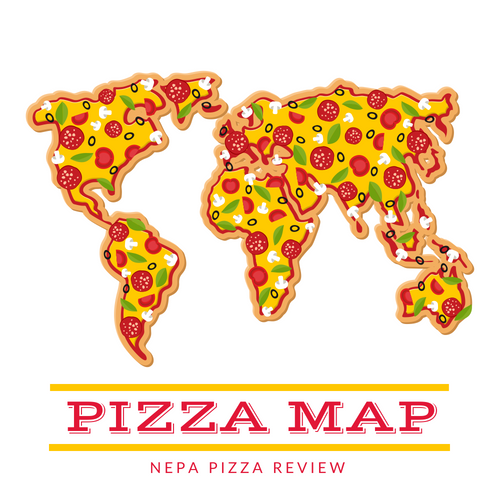 Running a website such as the NEPA Pizza Review has given me the unique opportunity to try over 100 different pizzerias in Northeast Pennsylvania. Along the way, I've experienced a plethora of different pizzerias which all bring something unique to the 570 pizza scene. Of course, I've developed some favorites and this is my personal list of superlatives. Check it out, click the links which take you to the individual reviews, and of course, let me know where you agree or disagree with me in the comment section below! Basilico's is my staple in NEPA. I stop in at least twice per month to grab a slice or two of the NY style pizza. It is authentic, consistent, flavorful, and is everything that a NY pie should be! This might be a little surprising to some, but I loved everything about my Mary Lou's Pizza experience. The ingredients were fresh and homemade, the staff is so friendly, and it's such a throwback to a simpler time. There is some heated competition in the back mountain area for this award. I haven't tried them all, but of all the pan fried pies I've had, Pizza L'Oven was the best! Please LIKE MY FACEBOOK PAGE to follow all of my pizza adventures in NEPA! Grandma Pizza is a pie that's starting to gain traction in NEPA, and for the few that I've had, there is none finer than Armenti's in the Mid Valley industrial park. Colarusso's Café serves up all you can eat pizza and Italian cuisine for lunch on weekdays, and it is an incredible spread to feast on. I've enjoyed the buffet at least 20 times, and it's cost me many hours on the treadmill but it was worth it! Delivery pizza is meant to be fast and easy. Well, Rosario's offers that without sacrificing quality. Want a fresh chicken primavera pizza and a hot Italian entrée at your doorstep? Rosario's has you covered! Amberdonia installed a new wood fired oven in their West Scranton location and it became so popular that they opened another store in Dickson City within a short time. The margherita pizza scored a perfect 5 out of 5 - need I say more?! So the pizza wasn't really the reason I went here, but the bar is just incredible. TV's are everywhere and there is not a bad seat in the house. The rest of the food selection is amazing as well. Ok, so this category is really who has the best wings in NEPA and also sells pizza? Bells has my favorite wings in the area hands down, no questions asked! Rodano's has an amazing patio right on Public Square in Wilkes-Barre. The setup includes a water fountain, fire pits, music, and fun. To top it all off, they will serve you up a pizza whenever you like. I would take my girlfriend on a date to get Samario's pizza regardless of what the place looked like because the pizza is so good, but the fact that the dining room looks like Frank Sinatra would dine there makes me want to pour on the romance over some 'za. 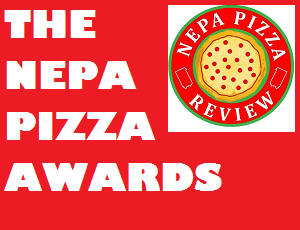 People's Choice for Most Popular Pizza in NEPA - Coming Soon After Poll is Closed! VOTE NOW!